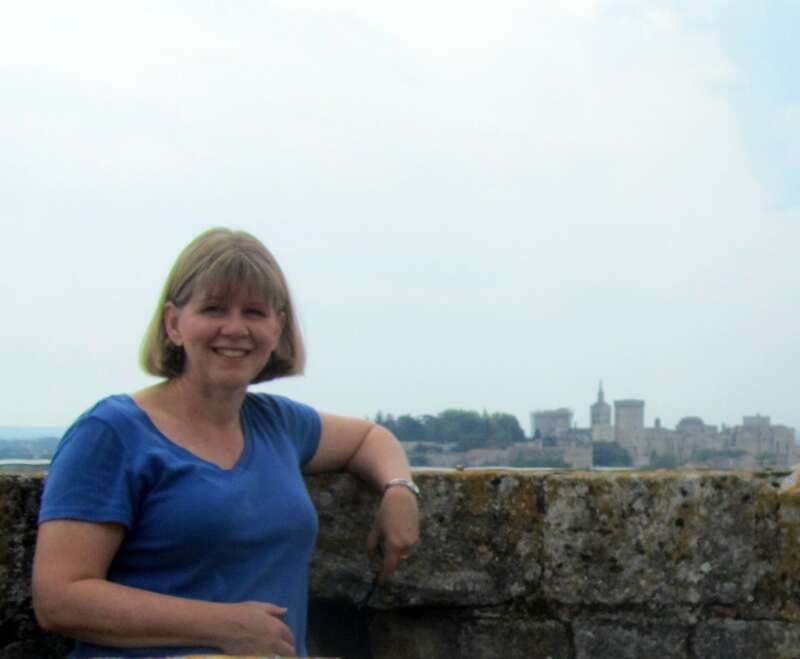 June 15, 2012 – Marseille, France – Tracy Baker, Senior Technical Communications Specialist at F5 Networks with twenty years of experience, recently crossed the Atlantic to visit the Componize Software offices in Provence. The trip was a raffle-drawing prize sponsored by Componize during September 2011’s CIDM Best Practices Conference in San Antonio, Texas. Baker’s visit comes just following Componize’s release of a new collaborative user interface that simplifies the use of DITA in enterprise-scale projects. In addition, Componize is finishing up a revolutionary architecture, set to be released Fall 2012. Baker toured Marseille, spent an afternoon in nearby Aix-en-Provence, and finished her visit to the South of France in Avignon. “I had the opportunity to come to Avignon when I was in undergrad but it just didn’t come together. It took me twenty-eight years, but I finally made it!” she quipped. Since her beginnings at AT&T Wireless almost twenty years ago and during her twelve years at F5 Networks, Baker has been witness to a number of major technological evolutions. Her technical writing samples include the engineering specifications for the first mobile short messaging services, known today as text messaging, as well as the revolutionary voicemail. For Jean-Luc Borie, CEO of Componize, Baker’s visit was a great opportunity. “We felt really lucky to speak with Tracy for a number of reasons. One, she has been in the business for almost twenty years and she’s seen it evolve enormously. F5’s constant technological innovation and exponential growth keeps her documentation department hard at work and plus, Tracy’s team is in the process of migrating to DITA XML. There are few people that have that trifecta of knowledge, experience and current challenges and we were excited to get her insight on the challenges that team leaders and tech writers face on a daily basis,” he said. Componize sat down with Baker to learn more about her. Componize: How did you get started in technical writing? Tracy Baker: When I got to grad school I didn’t know how to use a computer; I didn’t even know how to turn one on, which is ironic because that’s my world now. At the time, my sister had to help me write my resumé. One day at AT&T Wireless, my supervisor pulled me aside, and asked me if I had ever thought about being a technical writer. And I was like, “a technical what?” She said that I was really good at synthesizing technical information and making it understandable for other people; that’s the essence of what a technical writer does. I said ok, she doubled my salary, changed my title, and I’ve been calling myself a tech writer ever since. It was really serendipitous, and I love what I do. C: Can you tell us a bit more about what you do at F5? TB: F5 is an application delivery network provider. We provide business hardware and software; it’s really fast-moving technology. When I started at F5 as a tech writer twelve years ago, they had two products and now we have sixteen. We’ve doubled our writers in the last two years. It’s really exponential growth. Four years ago, I took on the Senior Technical Communications Specialist role. We have a team of twenty writers; some of them have been tech writers for thirty years. They’ve gone from word processing to desktop publishing and now I’m getting them to XML. C: When did you realize that the move to XML was necessary? TB: In 2006, it was really getting obvious to me that we were choking. We were not sustainable or scalable. The company kept growing, we were adding 20 engineers a week and no writers, how do you keep up with that? There’s only so much one writer can cover without some tools to help them. I saw that all of our products are variations on a theme: they all have a common base, all these different technologies but they sit on the same platform. A lot of the information was the same but we just weren’t sharing it. And so I started saying we need to move to XML. I did my research, started my pitch, but it took two years to convince everyone. That was the hardest sale I’ve ever had. C: Do you think that it would be easier to pitch XML today than 6 years ago? TB: Absolutely, I think we’ve reached the tipping point. I think that Google changed our world as technical communicators when all of a sudden you could type in a series of random words and get a very close match to what you were looking for: back-of-the-book index goes away, table of contents goes away, traditional informational organization goes out the window. People want their little sound bite that answers their one question that they have right then. We can no longer provide big fat manuals. As a tech writer today, knowing this stuff is job security. You need to know at least what DITA stands for. C: So how did you start your implementation of XML at F5? TB: When I first changed jobs, the first thing I did was go to the one week DITA bootcamp with JoAnn Hackos. I highly recommend that to anyone that wants to learn how to do DITA. Had I not done that, I’m sure that we would still be floundering. It jumpstarted what I needed to know, and gave me an up-close-and-personal view of what I was in for. When I came back from that, the first thing I did was to write an information model in topics. I knew that I couldn’t teach what I didn’t know, nor could I orchestrate what I didn’t know. So when our writers started to say that it was too hard, I said, “I did it, you’ll figure it out.” I can give them tips I learned along the way. I think it’s important for them to have a mentor. C: What challenges have you faced in your company’s migration to DITA XML? C: Book brain, can you explain that? TB: Well, in desktop publishing, you don’t write a word until you have the end in mind. But topics are the complete opposite. You do a lot of planning, and then you start writing the little bits with the confidence that once you have all the little bits created you can build what you need at the end. That just confounds the writers; they don’t know what to do with that. They want to know what the end looks like so that they can write according to the end. That’s “book brain”. The problem then is that the topics aren’t reusable because you’re crafting them with a specific goal in mind; I’m asking you to craft them to answer a question. Figure out the question, then write that information to the degree that it needs to be written. If you start answering more than one question, you have another topic. That boggles book brain because they can’t let go of that idea : I need to know what the end looks like. Some of our writers want to go back to their desktop publishing ways so bad, and topics just don’t allow for that. We’re a full-DITA shop. We’re not completely migrated from our Framemaker files; we’re probably at about 60% after three years and upwards of 25,000 topics. C: What has the move to DITA done for you? C: What do you see for the future of DITA XML? TB: DITA XML is a fairly young development arena. In XML, some people are going to make it, some people aren’t. You go with someone who is proprietary and they don’t make it? You’re in a world of hurt if you have to move your files. The standards are what will make this huge and make this become every day in the tech writing community. When I go to conferences, I hear that mining companies are sending their miners two miles under the earth with an iPad, that airline companies have replaced their 70-lb flight manuals with a pad or a tablet, that makes me happy, that means change is imminent. If those old school companies can change, my cutting-edge technical company can change. And I know DITA will eventually sell itself.